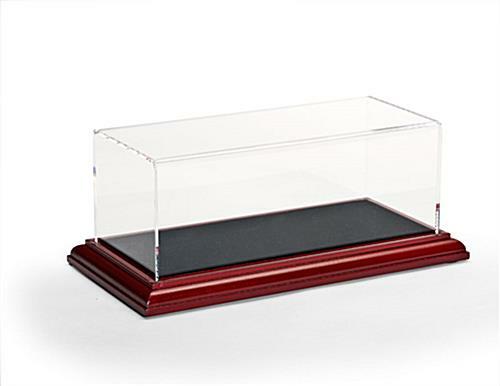 This Premium Trophy Case For Collectibles is Crafted From Acrylic and MDF for Durability! 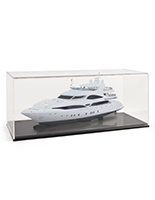 Showcase Your Models in Classic Style With These Sturdy Display Cabinets That Ship Quickly! 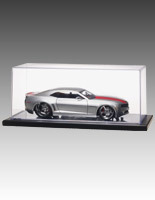 Common Size (w x h x d): 10" x 4" x 4"
Anything up to 10"x3"x4" fits in this diecast car display case. 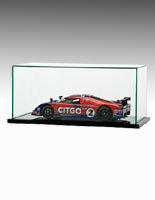 Diecast car display case separates easily allowing quick access to items. Acrylic top is thick giving the unit a rich presentation. 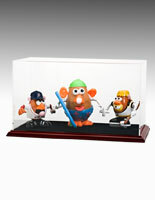 This scale trophy case, also known as a plastic model box, can showcase a wide variety of collectibles. Scale Nascar kits, die-cast cars and custom vehicles fit perfectly inside. The trophy case has a velvet lining, providing a gentle surface for even the most delicate of collectibles. 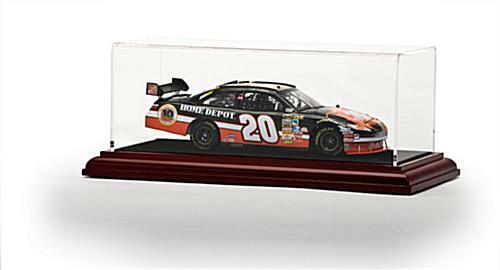 Most Nascar collectible cars that are less than 10" long will fit inside these cases. 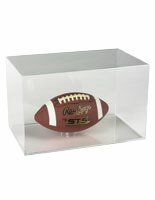 This acrylic showcase, trophy case, can also be changed out quickly. Lift off the top and a scale Nascar can be instantaneously switched with a die-cast toy. The fancy trophy case gives prestige to collectibles placed inside. 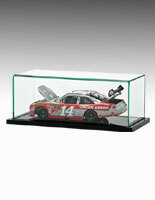 Unlike other boxes for displaying scale Nascar models, the tops of these units are constructed from 1/8" acrylic rather than brittle styrene. This trophy case that has a cherry finish base has a luxurious appearance. Viewers will immediately be drawn to the cars shown in this trophy case. Die-cast vehicles of all kinds look more important when put in this showcase. The deluxe trophy case that is for scale replicas showcases special cars. Other presentation boxes for Nascar models cannot compare to the quality of this item. 11.8" x 4.8" x 6.1"
10.1" x 3.8" x 4.4"